BrandArena: Can Uber's New CEO Dara Khosrowshahi Change The Narrative Like He Did Expedia? Can Uber's New CEO Dara Khosrowshahi Change The Narrative Like He Did Expedia? Uber Technologies has hired Dara Khosrowshahi, the chief executive of travel company Expedia, as its new chief executive. 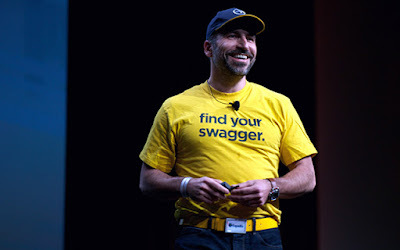 Khosrowshahi, 48, led Expedia for 12 years. He played a key role the the company's global expansion, and in 2015 it acquired Travelocity, Orbitz, and vacation rental giant HomeAway among other buys. With Khosrowshahi, Uber now has an experienced CEO of a public company who has dealt with lots of obstacles along the way. The unanimous decision was made on Sunday by Uber's eight-person board. He was the third candidate — after Hewlett Packard Enterprise CEO Meg Whitman and former General Electric CEO Jeff Immelt. Can Uber's New CEO Dara Khosrowshahi Change The Native Like He Did Expedia? This remain to be seen when he takes over the position.